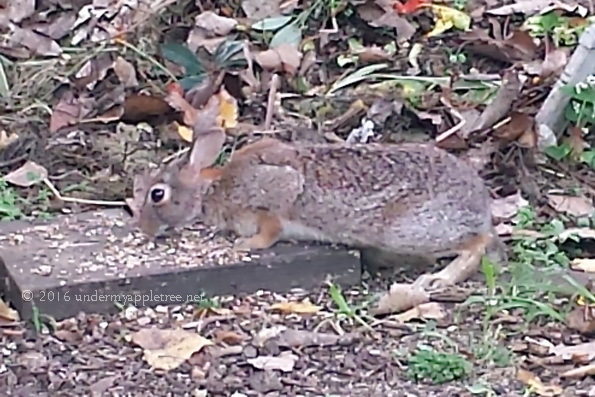 Almost wordless: I put some bird seed on the ground by the compost pile for the squirrels to keep them off the feeders but someone else showed up. Aww … I love bunnies! What a surprise! I’ve never seen a sneaky bunny!